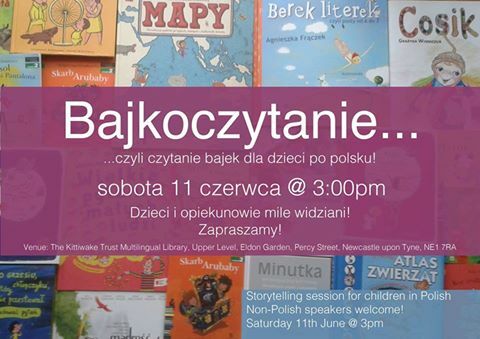 Come along to the first storytelling session in Polish in Newcastle. Save the date in two weeks time and enjoy these Polish tales. Where: The Kittiwake Trust Multilingual Library, Upper Level, Eldon Garden, Percy Street, Newcastle upon Tyne, Ne1 7RA.